472 Vinogradov, ‘Observations of the International Law Commission’s Draft Rules on the Non-navigational Uses of International Watercourses: Management and Domestic Remedies’ at 240. 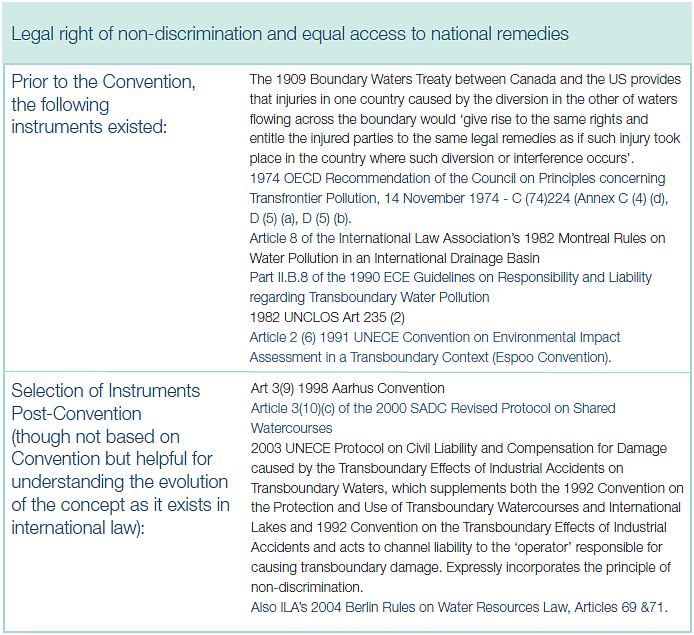 473 See Vinogradov ‘Observations of the International Law Commission’s Draft Rules on the Non-navigational Uses of International Watercourses: Management and Domestic Remedies’ at 235. 474 Vinogradov ‘Observations of the International Law Commission’s Draft Rules on the Non-navigational Uses of International Watercourses: Management and Domestic Remedies’ at 235. 475 Birnie, Boyle and Redgwell, International Law and the Environment at 306.